Heroes of Might and Magic III full version free download torrent. Heroes of Might and Magic III free download game for PC setup highly compressed iso file zip rar file. Free download Heroes of Might and Magic III PC game high speed resume able (resumable) download fully working game system requirements. Heroes of Might and Magic III PC game torrent download max speed max health torrent. Heroes of Might and Magic III full version game torrent download max seeders torrent. 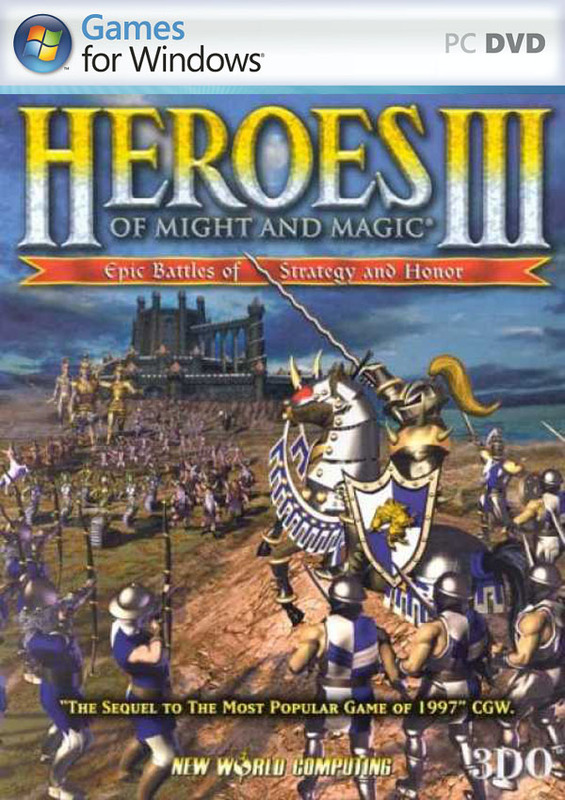 Heroes of Might and Magic III: The Restoration of Erathia (also known as Heroes III or HoMM3) is a turn-based strategy game developed by Jon Van Caneghem through New World Computing originally released for Microsoft Windows by the 3DO Company in 1999. Its ports to several computer and console systems followed in 1999-2000. It is the third installment of the Heroes of Might and Magic series. The game's story is first referenced throughout Might and Magic VI: The Mandate of Heaven and serves as a prequel to Might and Magic VII: For Blood and Honor. The player can choose to play through seven different campaigns telling the story, or play in a scenario against computer or human opponents. Heroes III was released to universal acclaim and was praised by critics. The game received the expansion packs Heroes of Might and Magic III: Armageddon's Blade and Heroes of Might and Magic III: The Shadow of Death. Heroes Chronicles, a series of short introductory games based on the Heroes III engine, was also released. A special version of Heroes III titled Heroes III Complete, which included the original game and both expansion packs, was released in 2000. On December 10, 2014, Ubisoft announced an HD version of the game. The new version features updated graphics as well as wide screen compatibility and was released on January 29, 2015 for Microsoft Windows, iOS and Android. However, the expansions have not been re-released because their source code is lost. Gameplay consists of strategic exploration on the world map and tactical turn-based combat. As with the series in general, the player controls a number of "heroes" who act as generals and command troops comprising various types of creatures inspired by myth and legend. The player can complete or "win" a map by completing the objectives set out by the creator of the map. Objectives may include conquering all the towns in the map, gathering a set amount of resources, or piecing together a puzzle to find the Grail artifact. If a player loses all their heroes and towns, they will lose the game. There are two "layers" to the world map - the aboveground and the underground. There are typically subterranean gateways that lead to and from the underground. Maps are filled with a huge variety of buildings, treasures, monsters, mines and so forth that reward extensive exploration. At the very least, a player must locate mines and flag them (whereupon they provide constant resources), since these resources are required to develop towns. The player must also develop his heroes' skills, both by battling creatures (and enemy heroes) and by acquiring artifacts or visiting special locations. Heroes are given a choice of skills to upgrade upon leveling up, as well as becoming better at combat or using magic. The skills must be chosen carefully, since they are permanent and only a limited number of skills can be learned. The player's towns serve many functions, but most importantly they allow recruitment of creatures to form armies. Towns also provide funds, new spells and a fortified location to make a last stand against an invading enemy hero. To build new structures within a town requires gold and usually one or more type of resource. Wood and ore are needed for most structures, but more expensive buildings will also require rarer resources (mercury, crystal, gems or sulfur). All factions require a disproportionate quantity of just one of these special resources, making the acquisition of a corresponding mine essential to victory. This same resource is also needed when hiring the most powerful creatures available to that faction. Each faction also has a handful of unique structures available only to them. If a player finds the Grail artifact, he can deliver it to a town to make that town the Grail's permanent home by creating a special structure. The Grail bestows greatly increased creature growth and weekly income, in addition to a bonus unique to the town. The eight different castles available in Heroes III are classified as good, evil, and neutral. Each town has seven basic creatures, each of which can be upgraded to a more powerful variant. Each town also features two associated hero types: one that leans more toward might (combat), and one that leans more toward magic. Some towns have a predisposition toward might or magic, and the leanings of the hero classes may simply be a matter of degrees. The game's story unfolds primarily through a series of seven playable campaigns, all set upon the continent of Antagarich. During the campaigns, the story is told from alternating points of view, giving players the opportunity to play as each of the town alignments. Following the disappearance of King Roland Ironfist of Enroth prior to Might and Magic VI: The Mandate of Heaven, his wife, Queen Catherine, is left to rule the realm. In the meantime, her father, King Gryphonheart of Erathia, is assassinated. Without their beloved King, the kingdom of Erathia falls to the dark forces of Nighon and Eeofol. Queen Catherine returns home to Antagarich seeking to rally the people of her homeland and lead them against the evil that has ravaged their nation. Erathia's capital of Steadwick is sacked by the dungeon lords of Nighon and the Kreegans of Eeofol. Meanwhile, the nations of Tatalia and Krewlod skirmish at the western border, seizing the chance to expand their territory. Catherine's first task is to establish a foothold in the conquered kingdom by enlisting the aid of allies. The wizards of Bracada and the elves of AvLee answer her call, and together they push towards Steadwick and eventually retake it, quickly quelling the border war in the west. Soon after, Lucifer Kreegan, a commander in the Eeofol armies, sends an envoy to Erathia claiming that Roland Ironfist is captive within their territories. AvLee invades Eeofol, but fails to rescue Roland, who is transported to their northern holdings. Afterwards, Catherine invades Nighon, pushing the dungeon armies back to their island home. In the meantime, the necromancers of Deyja, having been responsible for the assassination of King Gryphonheart, plot to revive his corpse as a lich. They plan to use his wisdom in leading their own armies of the undead. However, King Gryphonheart's will proves too much for the necromancers even in his corrupted state, and he becomes a rogue lich. Having little other recourse, Queen Catherine is forced to ally herself with the necromancers and together they set out to destroy the lich of King Gryphonheart before he becomes too powerful. A final bonus campaign, accessible only after the main campaigns are complete, tells the story of separatists living in the Contested Lands, a war-torn border between Erathia and AvLee. Tired of the skirmishes that bring unrest to their homelands, they join together to fight for independence from the two large kingdoms. It is later implied that this rising was orchestrated by Archibald Ironfist, the antagonist of Heroes of Might and Magic II. 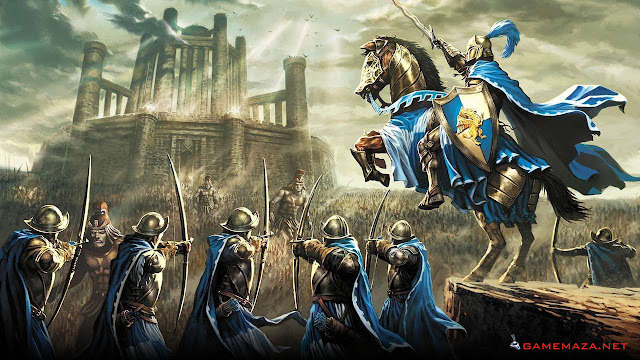 Here are the minimum system requirements for Heroes of Might and Magic III game for PC.